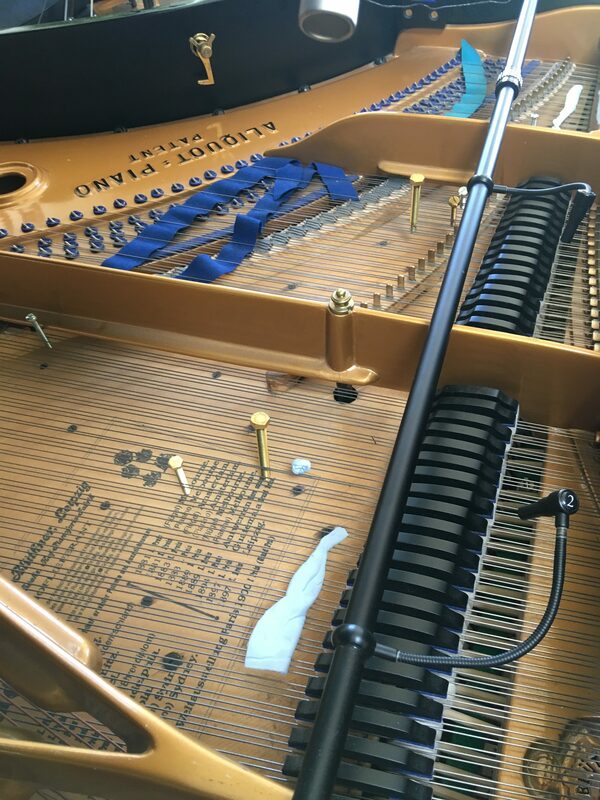 A collection of piano miniatures which I started during a weekend in composing isolation in the countryside before Christmas 2017 and completed in spring 2018. The preparation for these miniatures is fairly light — brass bolts are inserted between 14 strings, creating bell-like tones; blue tack is laid on several others, giving a plucked, stopped sound; most other notes sound as normal. The nine movements come to around 15 minutes, each one lasting between 45 seconds and several minutes. Movement 4 is framed by a solemn declaration, before embarking on a playful jazz-like theme, 5 has cascades of arpeggios, Number 2 has a melancholy theme heard over a minimalistic ostinato, Number 7 makes a feature of the contrast between the bell and plucked tones, 8 is reams of arpeggios with changing numbers of semiquavers, while Movement 9 completes the set with a child-like, music-box ditty. 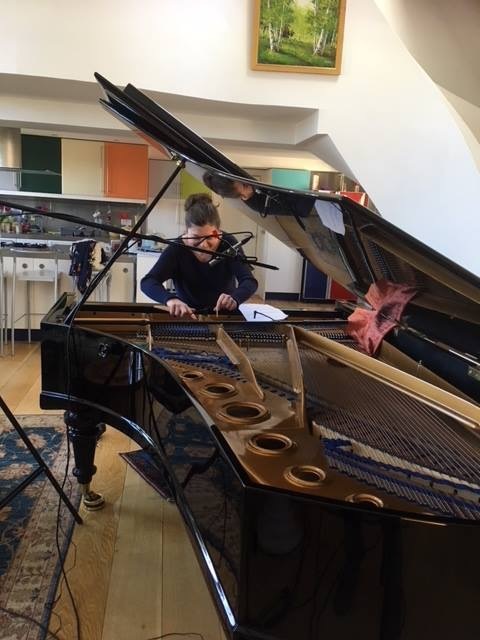 I was lucky enough to have the wonderful pianist Kamilla Arku record the suite on a lovely Bluthner at Alice’s Loft studio. Thanks very much to Denise Mangiardi and her team Joe Wensley and assistant Antonio, who not only did a fantastic job but made the whole experience relaxed and enjoyable. 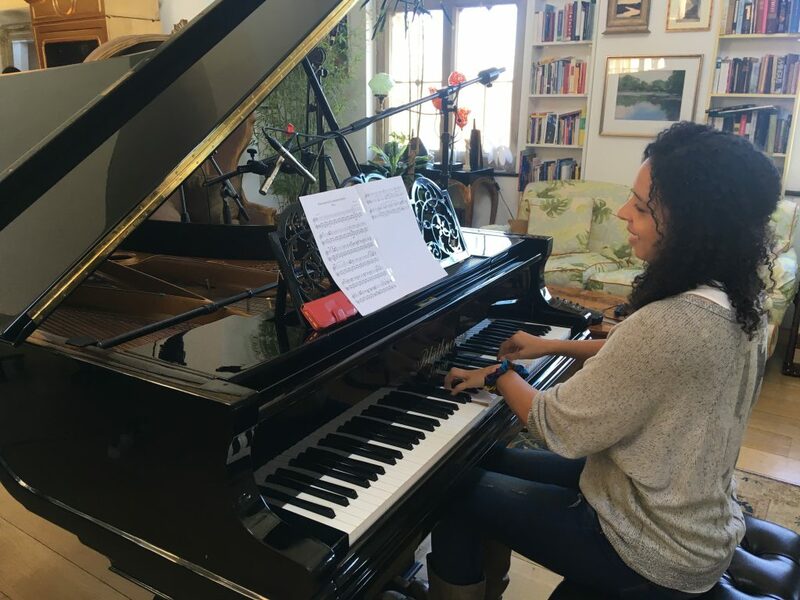 Kamilla performed this piece at St George the Martyr in Borough, as part of her programme of new music for the Borough New Music series, in February 2019.